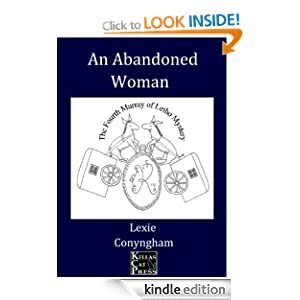 This book actually started off being called 'An Unkenspeckle Woman', meaning an inconspicuous woman, but it was pointed out to me that not understanding the title was unlikely to be a selling point! Again, we have some repetition from the other books here, and some words that will be in use today or obsolete, and some words that will not be exclusively Scots. General Assembly: the annual meeting of representatives of the Established Church in Edinburgh, where the Moderator is elected. Green garten: giving a sister the green garten = a younger sister marrying before an elder one, an embarrassing situation for the elder sister. Heritors: body of laity, usually landowners, who see to the buildings of a parish, the church, manse and schoolhouse, and appoint the schoolmaster. Kirk Session: body of laity, known as elders, who with the minister run a particular church. The Session Clerk is their head. Not unlike a vestry in an Anglican church. Manse: oh, everyone will know this one! It’s the minister’s house, the vicarage equivalent. It’s also the name of the house where a particular professor lived and taught at Aberdeen University, so ‘Humanity Manse’ is where Latin was taught, for example. Rammie: fight, particularly street fighting. Steading: farm buildings usually round a yard.